This was a question asked by a customer to McDonald’s. 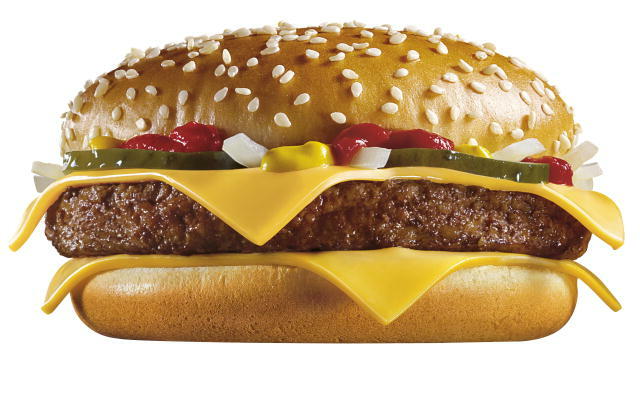 I am sure lot of us always wondered or at least balked at how perfect the burgers look on the ads yet look so flat, small, and less appetizing in real life. Well folks, we already know the answer. It’s because the burgers are carefully crafted and yes, photoshopped to perfection. That is not a surprise. The surprise is that McDonald’s answered this question by producing a quick video on the whole process. Was this a good move or bad move by McDonald’s? Either way, we’ve often talked about famous photo manipulations here at Clean Cut Media especially in terms of how altering photos of people causes us to have distorted view of beauty. This is a different kind of “Beauty”, perhaps not so harmful, but still is pretty fun to watch as they carefully craft and photoshop a quarter-pounder with cheese. Hungry Anyone? Enjoy the video. Huge fail by McDonalds and the geniuses in their marketing dept. I mean yes we all know/knew that they photoshop those images, they didnt have to actually make a video which would confirm our suspicions, did they?! Everyone uses photoshop out there, thats a given. Quite what McDonalds wanted to achieve with proving that they artificially enhance the look of their products in ads is beyond me. Everyone knows, just by watching the commercials and eating at the places that it never looks like the pictures. Yet, they(we), still eat there.